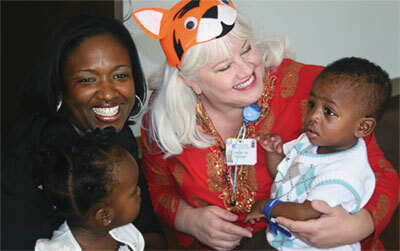 NICU Nurse Jeannette Fegan welcomes former patients during last year’s reunion. The 26th Annual NorthBay Medical Center NICU reunion is Saturday, November 5, 11 a.m. to 2:30 p.m. This year’s event is a fall festival and will be held at the NorthBay Healthcare Administration Building in Green Valley. All NICU graduates and their families are invited to attend. More information: NICUREUNION@Northbay.org.